The MS 411WM is the remote reset panel for resetting the BNWAS on different places on the Bridge. This device may only be placed on the bridge. The green LED indicates that the watch alarm is active the red LED and internal buzzer indicate that the 3/12 minute watch alarm timer has exceeded. 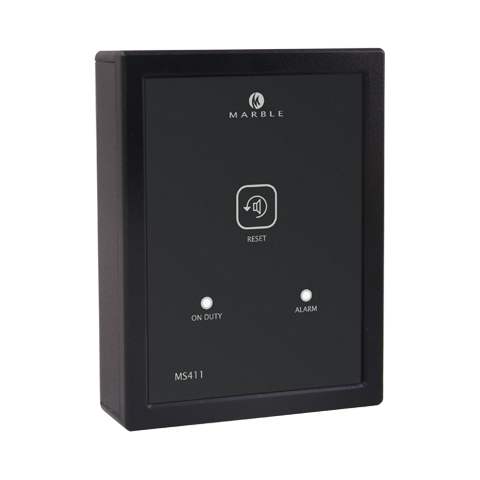 By pressing the reset button on the MS411 panel the watch alarm timer will restart and recover bridge alarm/call officer/call crew stages. LED’s and reset button integrated.